Ron Reis is an American professional wrestler, best known for his appearances with WCW in the late 1990s as The Yeti and Reese. Ron Reis was trained in wrestling by Big John Studd. He joined WCW in 1995, appearing at Halloween Havoc encased in a giant block of ice as The Yeti, a member of the Dungeon of Doom. The Yeti later thawed out, and was revealed to be a large mummy. 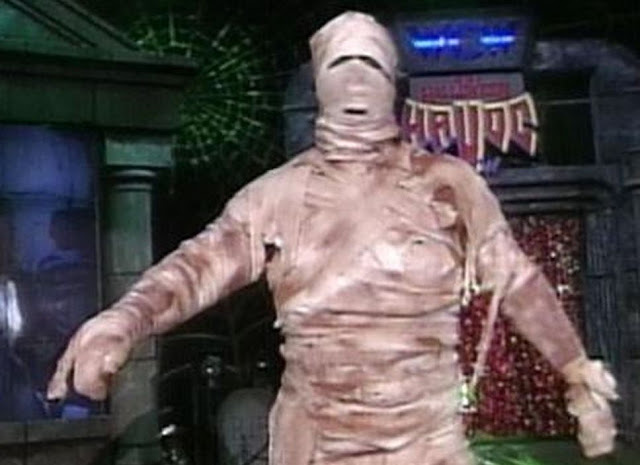 After Dungeon member The Giant defeated Hulk Hogan for the WCW World Heavyweight Championship at Halloween Havoc 1995, Reis assisted with the post-match beating of Hogan when he administered a tandem bearhug with The Giant. His ring attire was subsequently changed so that he looked like a ninja. The inital look of The Yeti would, however, receive a following among the Internet Wrestling Community. Reis later joined Raven's Flock as Reese, with Raven explaining that Reis' size had made him an outcast from society, leading him to seek acceptance within the Flock. Reis acted as Raven's enforcer, though he was unable to prevent Goldberg defeating Raven for the WCW United States Championship, and suffered an embarrassing loss to the far smaller Juventud Guerrera at the 1998 Great American Bash. The Flock eventually disbanded on September 13, 1998 at Fall Brawl when Perry Saturn defeated Raven to win the freedom of the Flock. 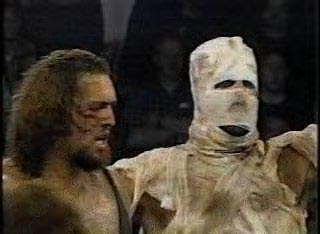 Like many of the former Flock members, Reis lacked direction after the angle finished, and was released by WCW in 1999. After being released, Reis toured Japan as Big Bomb Jones (a take on Big Van Vader created by Antonio Inoki) throughout 2000. In 2001 he returned to America and began working for Dusty Rhodes' Turnbuckle Championship Wrestling promotion as Big Ron Studd, a reference to his trainer. He formed a tag team with Ray Lloyd, and they won the TCW Tag Team Championships on January 3, 2002. The titles were vacated later that year. Reis reemerged in Vince Russo's Christian orientated Glory Wrestling promotion in 2005 as the abstract character Evil, losing to Joshua the Carpenter on February 20.